USPA NEWS - Universities across the UK now have a further opportunity for their cyber-security related degrees to gain certification as part of the National Cyber Security Strategy. Universities across the UK now have a further opportunity for their cyber-security related degrees to gain certification as part of the National Cyber Security Strategy. 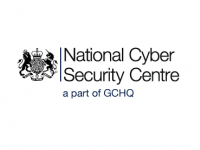 After a rigorous process, the National Cyber Security Centre (NCSC) – a part of GCHQ – has already certified 23 Master’s degrees, three Integrated Master’s and three Bachelor’s degrees from 19 universities over the last four years. With applications now open the NCSC is looking for fresh candidates to increase these figures, with degree apprenticeships now also eligible. NCSC-certified degrees help universities to attract high quality students from around the world, employers to recruit skilled staff and prospective students to make better informed choices when looking for a highly valued qualification. “I’m really pleased that we’ve now launched a programme for certifying degree apprenticeships. This will be a valuable addition to our certified undergraduate and postgraduate degree programmes. “Degree Apprenticeships offer a flexible option for both students and employers, as we have seen from our own Degree Apprenticeship programme. The degree certification programme is part of a range of programmes which the NCSC and its government partners have initiated across UK academia designed to address the knowledge, skills and capability requirements for cyber security research and education. “The fast-paced world of technology is constantly evolving and it is vital that young people have the option to study high quality courses in cutting edge industries, such as cyber security. “We want to maximise choice and flexibility for people wanting to study in higher education, whether that's as part of a traditional course or a degree apprenticeship. “Not only will these certified degrees provide a benchmark for future cyber security professionals, but also help to ensure they are ready for the world of work and prepare them for an exciting career." “The success of this course has contributed to the University's decision to introduce a new MEng degree in Computer Science with Cyber Security” – University of York.